A stylized hatchet of yellow amber and sea timber. A hatchet - a thunder symbol that has become an object of incarnation of the supernatural powers. It is believed that there were the sky fire, the Thunder lightning spirit accumulated in the hatchet. 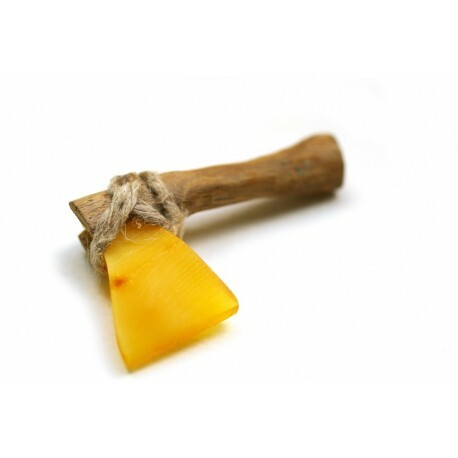 This small symbolic hatchet may become your talisman protecting you from natural phenomena of nature.